If your family is as busy as we are in the stretch from October through the end of the year, finding quality time can seem like a challenge. There are weeks when I feel like the time we’re all spending together is mostly in the car! Between school drop off and pick, swim lessons, dance classes, and baseball games and practices. We spend a lot of time together driving to places but that doesn’t always feel like the quality time I’d like to get with everyone. Those are the days when I just want to make family dinner fun so we can spend time together. 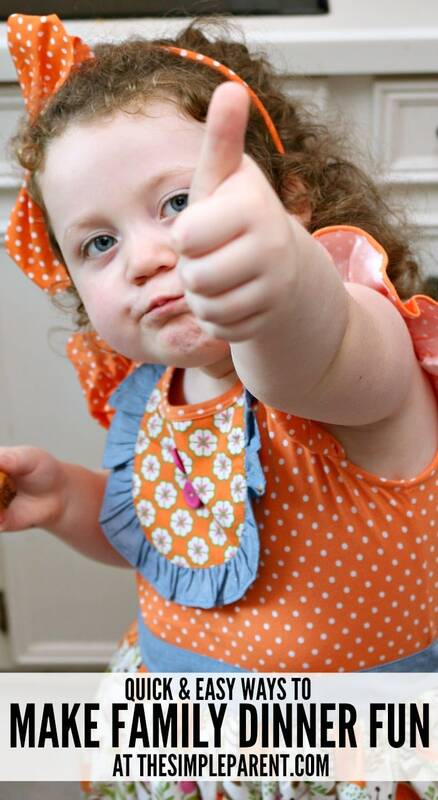 Here are some of my favorite fun easy dinner ideas that help ensure our dinner time is quality family time! 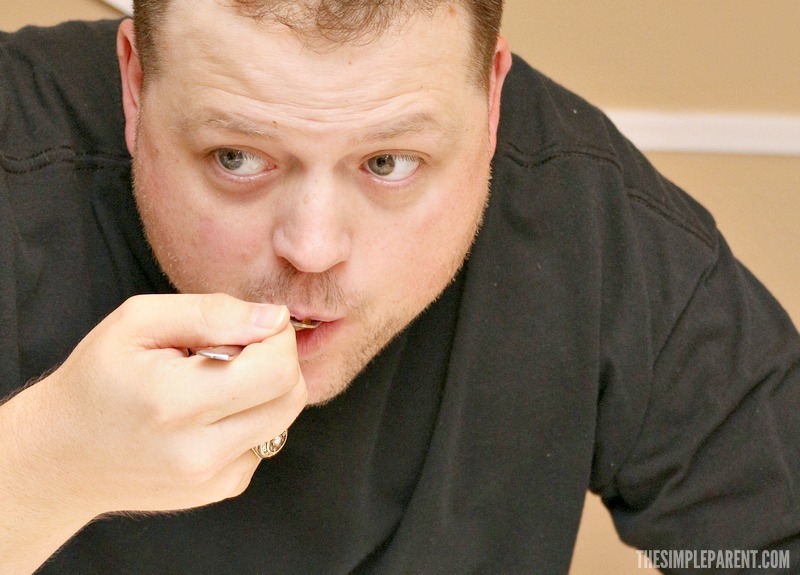 The first thing and possibly the most important way to make family dinner fun is the food. As a busy mom, I’m always looking for convenient meal ideas that are made with wholesome ingredients. As the weather cools down, I love to make hearty food but I don’t always have the time to do something homemade. So I depend on food that I know my family likes. When I find something that my family likes, I’m quick to stock up. That way I know that I always have something to pull out and cook for dinner. Marie Callender’s Pot Pies help me give them a homemade tasting meal. They can be cooked in the microwave, but I love putting them in the oven. I can pop them in the oven and let them bake while I spend time with the family! 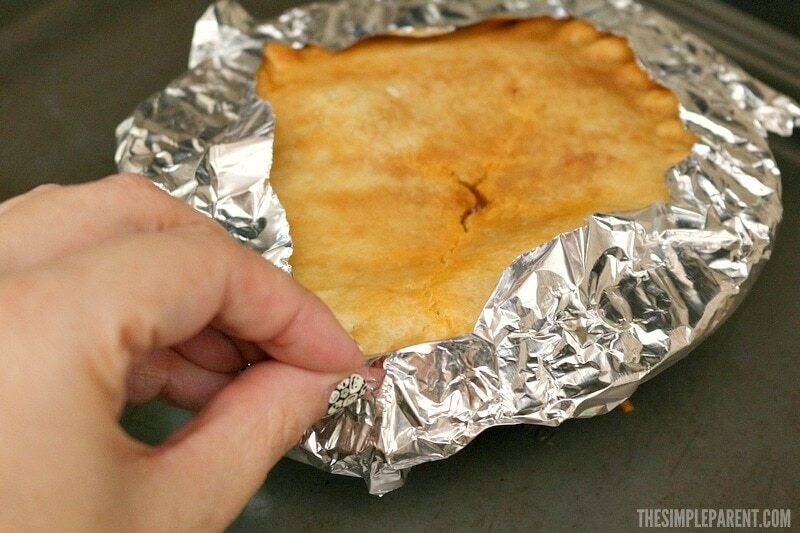 And by wrapping the edges of the crust with foil, we get an amazingly flaky crust that definitely tastes homemade! 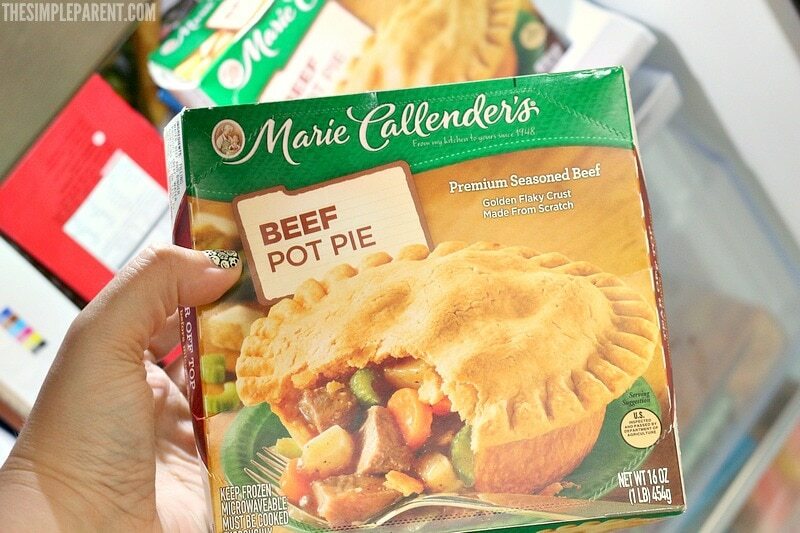 We get our Marie Callender’s Pot Pies at Walmart which makes it convenient for us to stock up! Justin is a huge fan of Marie Callender’s Beef Pot Pie so we always make sure we have plenty in the freezer for those busy nights! He even loves taking them for lunch on the days we have cooler weather. 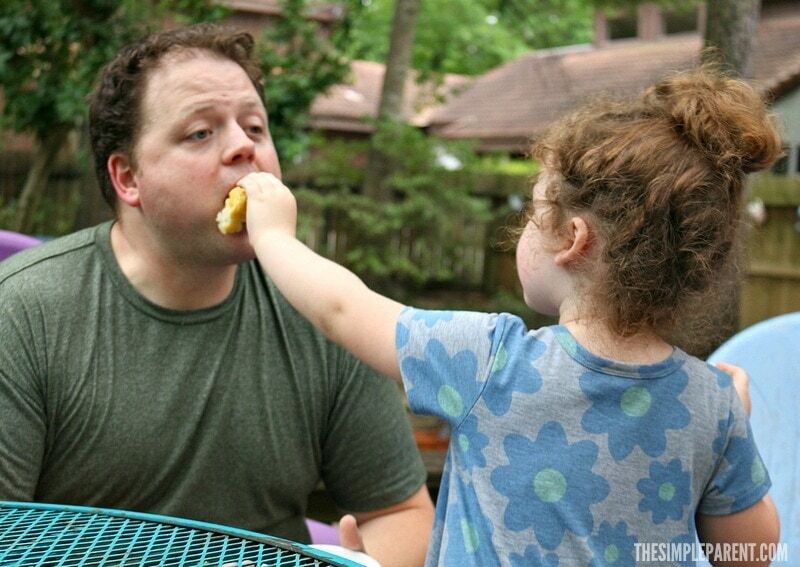 He loves to savor the homemade taste! Banquet and Marie Callender’s Pot Pies are the perfect options to help make family dinner fun. Stock up and you’ll be ready for family dinner and also for a quick meal when you need one. 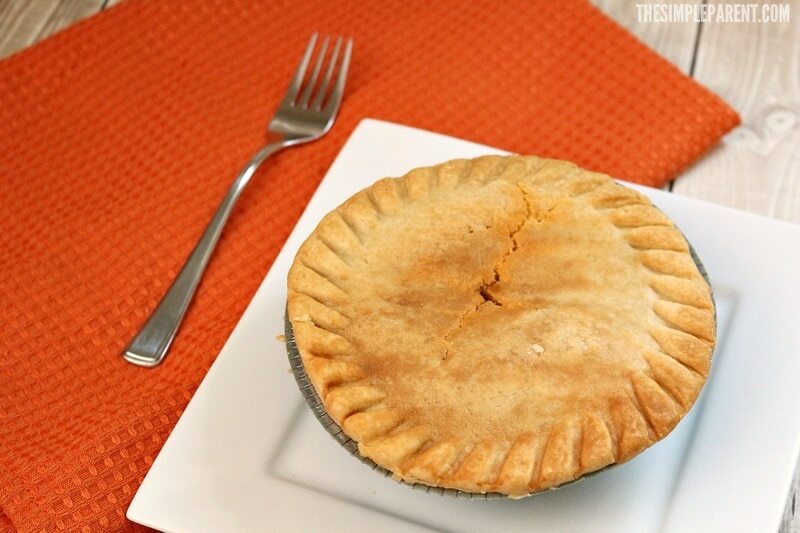 Use Ibotta to earn $0.50 with purchase of 2 of either Marie Callender’s Pot Pies or Banquet Pot Pies 16 oz. or smaller. When it comes to fun family dinner ideas, getting the kids involved is important. One of the easiest ways to do that is let them set the table for dinner. We don’t always sit at the table to eat, but when the focus is to make family dinner fun, we’re all about sitting down together. Get out your kids dishes and let them set the table. 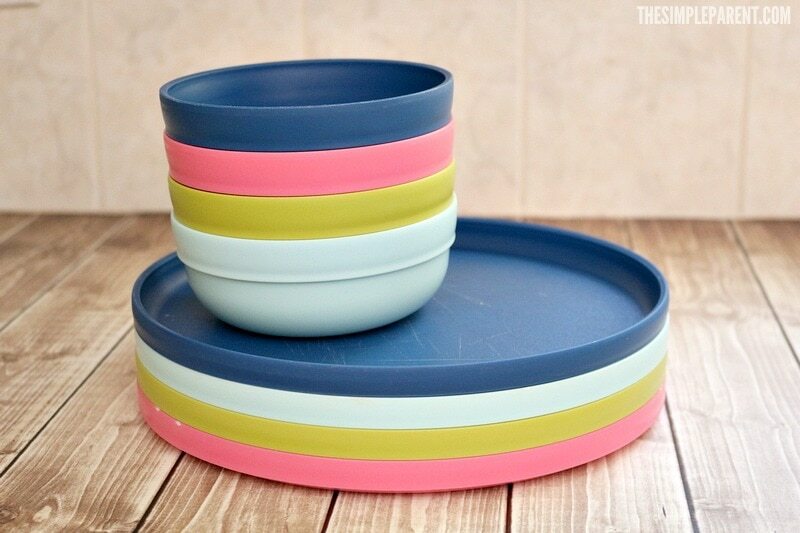 We have colorful plastic dishes that add a fun pop of color and are safe for even the youngest kids to carry to the table. There are tons of the other fun family dinner ideas that can get your family involved. Choose a theme. It can be as simple as everyone wears the same color. Or you could do a themed meal like a picnic dinner. Play restaurant. Let your kids serve up dinner. You can even let them take “orders” and give them a tip if you get good service! Put together a conversation jar. Write different questions on strips of paper and put them in a cup or jar. It’s a great way to get your family talking together. Let each person choose something to be served for dinner. Eat the meal in reverse, starting with dessert! This is just a short list of ideas. But the most important thing is to keep it simple and you’ll make family dinner fun! With fun easy dinner ideas and your calendar out, you can make sure that your family is spending time together. It won’t matter how busy your schedules are as long as you keep it simple. By getting the whole family involved in everything from choosing a theme, setting the table, helping prepare food, and even clean up, you can turn mealtime into time spent together making memories. Get more ideas at www.morefoodyoulove.com!